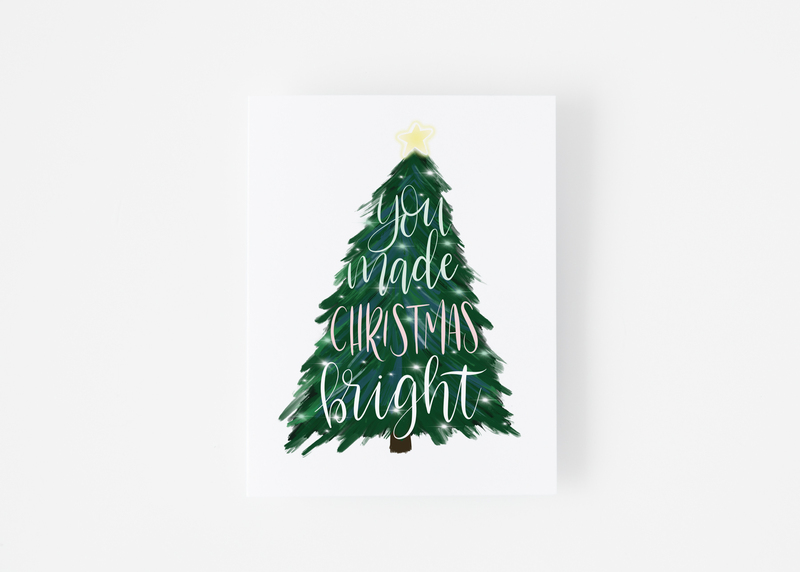 These hand-lettered and hand-painted Christmas tree thank you notecards are unique and will show your true appreciation for those special holiday gifts. These cards are sold in sets of 4 or 8, and are folded A2 (4.25×5.5″) cards. They will arrive with pale gray envelopes. 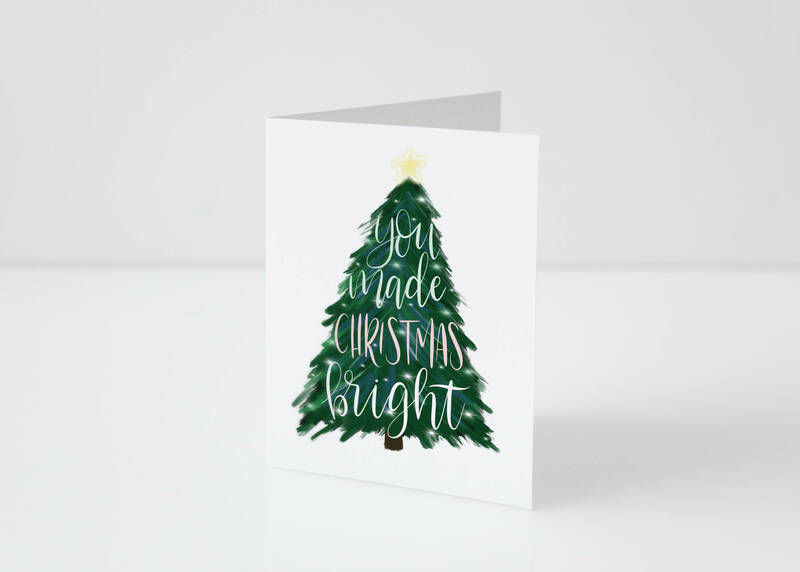 The inside is white and blank.